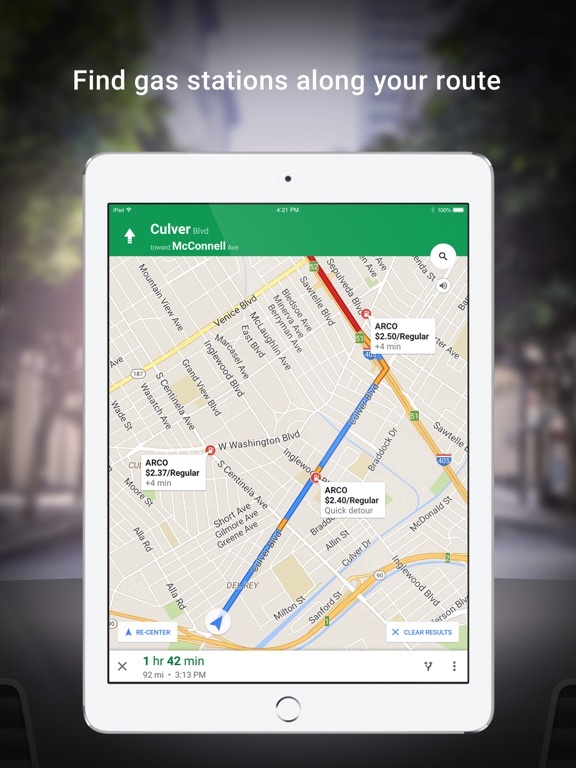 Overall a great app to find directions from A to B. However, routes are not as smart anymore as you are several times directed towards congested areas. Several times you get lost or you are taken to unnecessary loops. I don’t want to look at my arrow upside down I want it to fix itself in the direction I’m driving like it used to be why would you take that away! I don’t want to look for hotel dates, i just want to find the place on the map. Just stuck to what you do well. I depend on this app to give me the best routes and accuracy! My travel buddy! Dr Scott Siegel My name is Karen Walsh and I am a mom and lactation consultant. Dr Siegel is a talented and skilled physician. As a lactation consultant he is very respected. As a patient when my baby and I needed him and his skills he saved us. I am in awe of his knowledge and expertise. I would recommend his services to anyone in need and as soon as possible. What he does makes a huge difference in the lives of moms and babies. Far better than that of Apple period! I like it sometimes but not always! Google map sometimes drives me crazy because of how it leaves in middle of the roads and say that I arrived at my destination! But overall experience is not bad! I have tried several other maps, but Google is the easiest, simplest, and most accurate of all, has never let me down!!! Audio keeps shorting out. Actually rammed into a curb because no amount of toggling would restore the audio and there was little choice but to look at the phone app. If you have to pull over every couple streets to look at the map, why use the app? Also gives no clear direction when pulling directly from a driveway, easy to head in the wrong direction on a first turn. Despite its flaws, Google Maps is better than Apple Maps in all sorts of small ways. Every once in a while, the directions lead me through the slowest route, and sometimes they’re incorrect. I don’t have time for such things, deleting the app today. Apple Maps has proven to be the better navigation system. It used to be google maps, but not anymore. Half the time this app can’t find a connection. Not good when you are in a hurry and need your gps. Unfortunately having to switch back to Apple maps. This latest update doesn’t enable me to move the map around with swiping fingers when using CarPlay. All I want to do is show my destination city traffic and I have to use the god-awful arrow buttons in CarPlay. It’s the worst. Constantly reroutes me when I’ve chosen a specific route. Will be rerouted 4 times during a 15 min trip. I don't know why Always google map gets me in the toll roads while I am avoiding the toll road from the navigation settings. My Google maps app goes mute after giving the first directional audio. I would like to rate this app highly however it doesn’t function. Every time I open the app it says cant connect to server and no matter what I do that message stays and I can’t use the app. To navigate to a location 20 minutes away, it directs you on a 3.5 hour trip. Need to update new roads. It keeps taking to a totally different address from what I punch in. Apple and google are crap together. The direction through freeway much faster. This is not good for Glendale CA!! Can no longer open maps turn on traffic for the local area and browse around. Google’s PMs think they know what’s best for us. This app is undeserving of its rank to say the least. The recent update prevents it from loading properly, sometimes I have to close it and open it multiple times to get it to load correctly! Traveling the country side does not work with this app. They need to update the software and no it isn’t the signal on my phone or anything else as I’ve checked everything else that possibly could be effecting the app. I had Google maps tell me a location of a place in a six story mall, with absolutely no clue or hints as to what floor it’s on. It is completely ridiculous and the store was closed when I got there 20+ mins later because it took so long for me to try to find it through Google Maps. Fix your app so when I’m in a mall, I’m not having to check every corner of every floor. Dr Jonas was wonderful as always and the staff was kind and accommodating. There was not wait and the staff treated us well. Fixed: Can’t see labelled places on the map anymore. Google Maps has gone from being one my top 3 apps to being next to useless. This was my most favorite app. But lately is has been lagging extremely bad. Luckily, when I used it, I kinda knew which way I was going because it was like the app just froze and wouldn’t update. Not even when I closed then reopened the app. Fix please!! I like this more than Waze!! But until then Waze it is. Here’s my question : who would suffer more, the iPhone user who could not use Google apps and services or the Android user who could only use Apple software? Need more proof? Ask a recent computer science grad where they want to work. I would give google maps 5 stars if I had the option to see a map with the overview of my route displayed on my phone screen when using CarPlay. As it is now, I get step by step map directions on my car screen (that’s good) and a list of sentence directions for my entire route on the phone screen. Not only do I not have time to read an overview like that while driving—I shouldn’t be! It’s unsafe. Seeing a map picture of the entire route would be much more helpful particularly when I’m using google maps for my commute and am fairly familiar with the various roads. I can see quickly if it’s having me deviate from the usual route further ahead to avoid a delay. At least having the option for a map overview instead of text would be nice. there is something annoying about starting up the app every time. the pop up bar of explore what’s around you is annoying and it’s something that can’t be disabled. other than that the app is a 5 star app. I favor this app over others until recently. When I go to drop a pin for myself it doesn’t let me label it anymore. This happened after the last update. I work around different locations all the time and I drop a pin and label them accordingly. Now I can’t do that. I have to find a work around and mark places as stars. Sometimes the stars won’t even show up in the stars list. Can’t label the stars with names. This app was so good for what I needed. I hope all this gets fixed. iPhone 8 Plus. If that helps. Best map on iPhone. Much better then apples! Does not consistently track my location change as I drive which can make it worse than useless, but invaluable when it works as it should. The ui is so crowded & busy lately that I wish hard for a good alternative every time I use it. Maybe back to Apple maps. It’s a really great app. Helps me get to places and also let’s me see where my little siblings are at 24/7 even thoe they don’t have iPhones ! But I’m very disappointed that I can’t see their battery percentage anymore and sometimes it takes forever to refresh their location. But other then that I love this app ! This app helps me get everywhere I need to go. I highly recommend this app! After the recent upgrade the app I am seeing issues with it accurately identifying my location and getting directions. My location keeps jumping on the map. Has gotten very, very slow! Google Maps is leaking information to law enforcement. It wouldn’t be a big deal until you consider the ability for any of us to be falsely accused of a crime based on police officers attempting to digest complex and copious location data to solve a crime instead of, you know, getting out there and solving a crime. Google maps is a great product. Functionally, it is superior to Apple Maps. That said, I’m deleting google maps and will be using Apple for the simple reason that they don’t (can’t) provide location data to law enforcement or anyone else. This app is not smooth. I’m using an iPhone XS Max and it’s jittery. Apple Maps is smoother than Google Maps. Fix this. We were shopping for a mattress, not intending to really buy one today and we walked out with two! Mike was fantastic and friendly and we will return later in the year for a third. I highly recommend this store! I would give this App 5 stars for use on my iPhone and 1 star for use on my iPad. On my iPhone, I get very detailed and very well timed directions, alternate route options while I’m checking out different route options and when I’m driving and hit traffic. However, on my iPad I’m only given an option for written directions. There is no voice turn by turn option for the iPad? I am trying to plan a summer road trip to several national parks, and Google Maps does not let you ignore seasonal route closures. This is extremely frustrating. Why can’t I see mileage instead of trip time . Google maps offers the camera is great for driving. I wish Apple can provide soon. Driving to a location then all of a sudden the icon disappears and you are only left with the search icon. No way to get back to actual location and map continues to give the right directions but forgets where you are at. Very annoying and happens a lot. I have full service etc and in the city. The only way to get it back on track is exit current direction and re enter it it in hoping it doesnt do it it again. Why does google maps hate apple so much? Super annoying and dangerous bug for google maps especially when you dont know where you are going. Label pin option is gone! Please please please bring back the ability to label pinned locations. Since the last app update, I haven’t been able to search any location. Can’t navigate also all my saved places are gone. None of the options, such as commute, are working. Please fix! I save places to go for vacation and then when I’m there, I have a whole list of things I can do. I just wish it were a little easier to navigate. You can’t organize your places in the feed. So if you’ve got a ton of places listed, you must scroll around until you find it. How can one of the largest & most prestigious companies in the world have a small feature that constantly does not work? This small future I speak of is the “keep north up” in the navigation options. I have this option 24/7 and I honestly have only seen my map north up like 3 times in the hundreds sessions of use. This is so mind numbing that such a small feature and a very important one can not work. Fix this. It’s pretty nice! I’ve recently taken up a hobby of finding Chicago Drill rappers’ houses in the game WatchDogs by comparing the map. This is helping me find Chief Keef’s house in a game! There's no traffic anymore. This is a MUST FIX NOW!!!!! Google Maps took over ALL the space in the market to substitute MapQuest and all those bulky GARMIN GPS devices that you had to pay to update the maps and was very complicated to do so, even if you wanted to pay for them. Google Maps also ‘killed’ all those country specific maps that you had to buy every year you went out to Europe. Google Maps scored the biggest accomplishment to defeat Apple Maps in their own home device natural platform, no Apple iPhone lover will use the Apple Maps, they preferred to download the Google Maps App and move Apple Maps to some far far away screen where no one could see it. Then Wase came around with a different approach, the community sharing navegador, but still Google Maps was the KING of the map applications domain. And now, the very self Google Developers and Marketers are “destroying with their feet, what they made with their hands”... by converting the former wonderful best in the world and in its class navigation app into a silly shopping mall on the road, taking 1/3 of the screen to show the navigator all this distractions that defeat the purpose of using the app to get to our destination fast, faster. Yeah! They should change the icon for a new one with a ‘restaurant’ feeling. On top of that, I would like to know the statistics that supported the decision to add the ‘car pooling’ option, really? 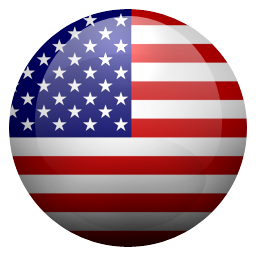 How about returning to us, the users, our beloved original easy to use “Google Maps”. Thank You..! This app is garbage. It’s been out for years and they don’t fix basic algorithm mistakes like how it arbitrarily decides to omit immediate-next turns (and then you drive to the wrong borough and you’re twenty minutes later than you would be if you were using something other than garbage), or it tells you to be in any number of lanes to make a turn or an exit when there is really only one acceptable lane to be in to not kill everyone trying to drive around you, or it doesn’t tell you that the highway you’re on drops a lane, or it wastes time telling you that the next thing you need to do is merge when the only thing in the world you could physically ever do at that juncture IS merge (or just dunk your car in a ditch and be done with driving altogether). Just make your app make sense if you want any stars in my review of it! You’ve had years to make it minimally useable and you’ve been doing what this whole time? Adding features nobody asked for? Stop that. UPDATE: I’m very generously giving these bozos an extra star for streamlining the alternate route button. It’s cute and convenient and I’m proud of you guys. Now invest this star miraculously because you’re still days from driving me into the arms of AN ACTUAL FLIP PHONE so that I can go back to VZ Navigator if I can’t honestly give Google Maps a five-star review. I’m dead serious about all of this. So without question google maps is one of my most used apps. Very early on I decided it was far better than Apple’s maps app (maybe I should go back and try that because I haven’t used it for years). Anyway, the pluses are many, but there is one thing that drives me so insane that I rank this app a 3 instead of a 5, that one thing is extremely untimely short freeze ups. I can’t tell you how many times I’ve been in a situation where I need the app the run normally in order to get the info I need in time to make a correct turn and the app will pause/freeze for a few seconds. It’s almost is if it knows what’s going on and is playing a cruel trick on me. Just today I had put in my destination, had the route, and was on my way. A while later I saw an exit sign and thought that could be my exit. I pulled the app back up to check and.......... my blue GPS marker had me about 2 miles off the highway in the middle of no where just sitting still. So I wait, I’m getting closer and closer to the exit, I wait and wait, slow down a little, and wait, and there goes the exit, and finally it shows yes that was the exit. Almost broke my new iPhone X. And that exact thing has happened on multiple occasions with multiple phones. I’m going to see if any other ratings mention this. 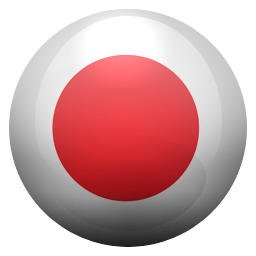 Since introduction of this app, it used to be a reliable, accurate, and just plain awesome! The past 8-10 months I have noticed how this app now like to loop you in directions that lead to paying tolls twice and directs you to areas where there are police traps set up. This does not happen just in my home state, but all over the country where I drive. 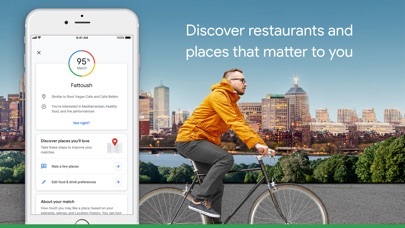 While in Boston, the app was just plain unusable. At first I thought I was being a paranoid Freak, but I have used this while comparing this to other apps. Waze, uses the same maps, shows different routes and works as advertised, but the ads are getting annoying. 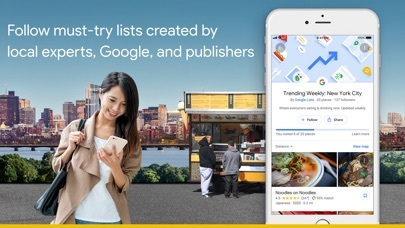 A no frills map that just works and does not have the ads or doing the stuff Google does with looping through extra tools and stuff is Inrix. This has become my application of choice for reliability and no nonsense. This is important when you are transporting sensitive medical stuff like blood, organs, and supplies. Disappointed how harvesting info for profit or my experience of taking routes that are longer because they direct you through extra tools/police stings. On the flipside, downloading maps and using them with internet brings the reliability back on par with where it used to be and in line with Inrix! I am sick and tired of this recent release!! I write a LOt of reviews and most of the time when you start typing and get a call or change the orientation of the iPhone (X) in my case , the entire review is now blanked out and you have to either submit an incomplete review just so that I wouldn’t rewrite all over again AND miss out on the bonus points since I didn’t pass the 200 character minimum to earn the bonus points or start allllll over again! I’m not writing any more reviews until this is fixed. I also have something to tell the developers on google maps, I’ve been contributing to google maps for years and years on map maker, when google stopped its google map maker, they didn’t migrate our contribution stats over to the new google maps and most of us felt that this was a slap in the face, I see people who started 10 years or so after us (map makers contributors) on google maps and have surpassed us mainly just because we have put our everything into map maker.. I really hope you could migrate our stats if it’s still possible because that was a setback for a lot of map makers. It took me to streets that were closed! My kids had a field trip, and the 101 fwy was closed in Santa Barbara. I already knew this, so I wanted to make sure I leave early enough to take whatever detours I had to take. Google maps said I would make it in 2.5 hours, and showed that I'd be using side streets where the fwy was closed. I checked Waze (another GPS app) and that said it would take me 3.5 hours, taking me the 5 fwy route. So I opted for Google Maps, the faster one, the so-called "trusted" GPS app, that would get me there 1 hour sooner than Waze's route. We left early, and when we reached the part where the fwy was closed, it detoured me to streets that were closed off! Tried other streets, all closed!! I then used Waze, to see if there was another way, and Waze said I would have to go all the way around, through the 5 fwy. That would take me 4 hours from where I was! We obviously didn't make it to our field trip and ended up just going to a park in Santa Barbara, then headed back home. I should have used Waze from the beginning. Google Maps fail! I've had prior issues with Google Maps before, like, it routing me in loops and circles, but never thought too much about it. It is the most used GPS app, so I thought it was the best. Nope. This time it pushed my buttons. Deleted the app. Use Waze everyone! It's real time, with real users! I guess I didn't even realize the difference between this and the native apple map. I switched to iPhone last year and was used to pressing a map link and it opened right up in maps. Well, apple does that too...but when I needed it badly I had to come download google maps. I was stuck in a delivery parking lot of a huge hospital in an unfamiliar city that apparently had one address for the whole campus. Apple's map made me almost lose my mind- "Turn right then turn right! Go southwest then immediately go north then turn right! Turn left then turn right!" It was insanity. I finally broke down and googled what I needed which prompted me to download Google Maps...And I was immediately given correct directions and found my medical office in less than 5 minutes. Now every time I need directions I find Google Maps is the only one that's accurate. 4 stars because it turns me sideways sometimes and did have me turn right off of an exit just to make an immediate u-turn when it should have just told me to turn left from the jump. Still- it gets me there which is what I ultimately care about. For the vast majority of usage, this app has been flawless. 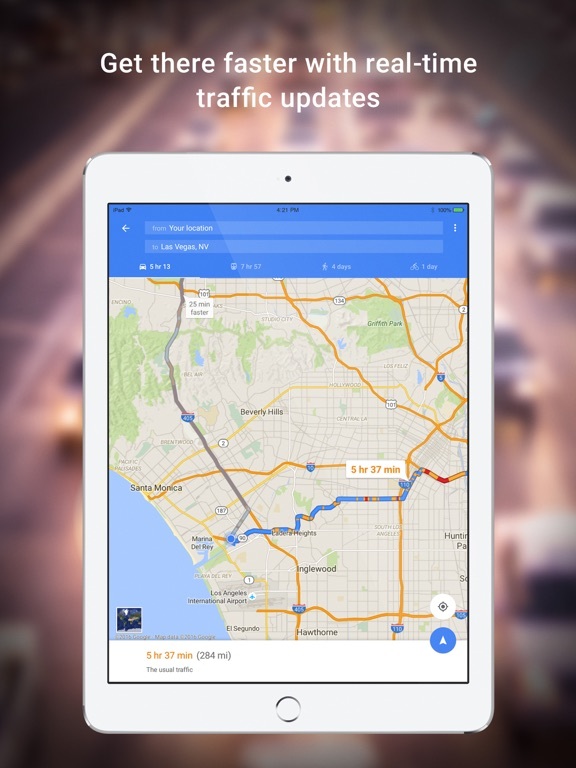 The traffic is accurate, the routing is good, and the user interface is simple and easy to use. However, I have found some things to be quite annoying. For one, I have found that sometimes when I am in the far left lane on the highway, the app will think I am on the wrong side of the road causing it to constantly reroute me (this mostly happens in HOV lanes and high speed ezpass lanes). Another issue is that if I purposely choose a slower route because it is fewer miles the app will constantly tell me it found a faster route (I know there is a faster way, but I purposefully chose the longer timed route!) this is very frustrating, and on my last 2 hour drive it told me 5 times that there was a faster way and I had to take my hand off the wheel to cancel the change. Finally, my last complaint is that there aren't more alternate routes given. I’m lucky if the app gives me 3 options, whereas online you can drag the route to any road and it will find a route. Other than these issues though, the app is very well implemented. Thanks to Google Maps I found the love of my life. On July 26th of 2014, I was on my way to a bicycle store that is in my mother’s town. That morning, I decided to use Google Maps to find the fastest route to the bicycle store. I noticed it marked a different route than usual but it was way faster, so I decided to go for it. On my way, I see a woman walking whom (fortunately for me) dropped her briefcase full of clothes. I decided to stop and give her a hand. Her name was (and is) Martha, and I’m so grateful I met her thanks to Google Maps. After helping her I decided to ask her out; she said no. I got disappointed so I hopped in my car and decided to continue my trip. Once I arrived to the store, they told me they had just received a new bicycle minutes before I arrived and they showed it to me; the bicycle was amazingly beautiful and I’m so grateful the alternative route from Google Maps made me go through a street where the lady which turned me down dropped her suitcase and made me stop to arrive just after the new bike had arrived. 5 stars; me and Lana (my bike) couldn’t be more grateful. This is a great map, it will show you where everything is, but’s it’s impossible to use on trips or custom maps. If you’re looking for directions without a custom map and for only one destination, this map is for you. If you create your own maps, need to look up multiple destinations, or are on a trip, it’s near impossible. First of all, I had my mom send me the link to our custom map. It send to my gmail, no problem. Then I’d click on the map, and it either wouldn’t load, or take me to Safari. The Safari view would show the map, but decline to let you get directions unless you signed in. Okay. I signed in. Well, it took my back to my home address, and sent me on a infinite loop, going from clicking the link in my email, getting sent to safari, logging in, and losing the map. I had to redownload the app four times before it worked. Second of all, the map legend isn’t interactive. I’m going to new york, and spent six hours working on a custom map, with a pin for every single place I wanted to go. i downloaded the app, only to find that in the map legend, you can’t click on individual icons, forcing you to leave the map legend, and click on every single icon until it pops up. Very dissapointed. Th first time iOS maps sent me to the wrong place, way out in the country somewhere, I couldn’t believe Apple had messed up. I sent Apple a message about what was wrong and expected them to fix it. Four times in six months I reminded them that they were wrong. Then they sent me a message that they had fixed the problem. I checked, they hadn’t. What I love best about Google maps is they tell you what lane to be in for the up coming turn. I don’t like that they only give you a two mile warning about your exit on the freeway/highway. If you’re in the wrong lane at 75 mph in heavy traffic, that’s not enough warning. iOS maps gives you more miles to play with, but that’s my only complaint so far. And they do show you an arrow so you can see which way you’ll be going, but I can’t see any of it with my sunglasses on. To keep slipping them down so I can see what’s coming and how soon while driving is both a pain and not safe. I wish they’d offer more info starting with 10 miles, then 5, then 2 or something...and do it verbally so I don’t have to play with my sunglasses or look down. I’ve been using Google maps since it first came out and it’s been great, except for a couple minor issues. I don’t use it for turn-by-turn navigation, I use it to estimate my travel time based on current traffic conditions and to find an address. It does those tasks fairly well, except.... On my phone’s tiny screen I cannot read the street names. Thankfully there is a zoom feature....except...and this makes the app absolutely useless....the street names do not get bigger. Do the programmers not understand thats why I want to zoom in? To not only see the tiny streets but to enlarge the tiny street names? Another issue I have is after it plots your routing, it overwrites the street names with the blue route highlighting. To read the street names you have to switch between the text route and the map route. There are several other issues I have but the last I’ll discuss here is the inability to forecast the route like you can in the desktop version. I have to switch to my laptop if I want to know what time I have to leave in order to arrive at a certain time, but many times I don’t have my laptop with me. Let me start out by saying I hate google maps. Recently I had to go to a meeting out of town, almost 3 hrs. away. When it said I had arrived I was at a barn out in the middle of nowhere. I’m thinking that maybe I’m 10-15 minutes away and when I put it back in it tells me I’m over an hour away 🤬. It had taken me in the total opposite direction. Someone said maybe it said turn right and you turned left, but no it didn’t do that and if that had been the case and I turned the wrong way it would have rerouted me back to where I needed to be. Yes I had the correct address in. If this had been winter and snowy it could have been deadly. Another time I was going to a meeting somewhere else and that was a little over 3 hours away. I knew most of the way, it was just going into the area where I had to get on the freeway that I wanted the help with but had it on from when I left my home so I didn’t have to mess with it while driving. It kept trying to detour me off my route to what it thought was the fastest way even tho that wasn’t the way I wanted or was going. The so called fastest route had a lot of switch back turns. I wanted the straight shot. It was only 25 minutes difference. IF I CHOOSE A ROUTE OVER A DIFFERENT ROUTE I HAVE A REASON. DON’T REROUTE ME!!! Used to have to click 2 or 3 buttons to start a route, now simply load the address, click start and BAM you're on your way. Very convenient, especially when behind the wheel and you get sent to a different job. The one thing I would like to see improvement on is when I get my schedule emailed to me, I can copy the address from the native mail app, double click and sometimes at the bottom there will appear a "get directions to -- in google maps". Clicking on that loads maps, but it always says "can't find a way there". I can paste the address in fine, but it would be nice if this would work. A big improvement would be if a press and hold on the address would allow me to press "open in google maps" instead of the native apple maps would be great. —————UPDATE————— There is a bug where when you save a location to one of your lists, then add a custom label, it doesn’t save the custom label. Clicking on the saved location doesn’t show any label added. Searching for the label works, but it very inconvenient. I add custom labels to places I go, and look back through the maps later. Help! Since updating my iPhone to iOS12, google maps is practically useless for me. The lag in navigation is unbelievable, if it works at all. Since updating, the voice directs me where to go AFTER I’ve passed the turn/street/place. She’s constantly telling me to make u-turns. And to make them where there is no place to make them. I often drive right past my destination and she hasn’t even gotten to the street I’m on. And more often than not, Google Siri stops providing voice direction mid-way through a journey, instead making me have to look away from the road to see where the next turn will be. Very dangerous. I have preferred google maps to Apple’s version all along. Sadly, that may soon change for me if google maps continues its glitchy ways. If there’s a fix, please let me know!!! 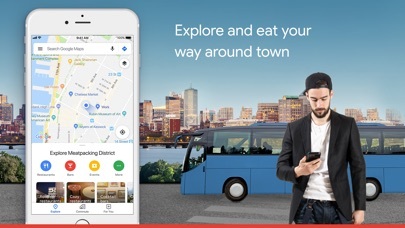 Also - that “explore the neighborhood” thing that immediately pops up and covers 60% of the map screen when I need to get directions is annoying, as it’s an ad gimmick that forces the user to do an extra step (swipe it away) before navigating. Get that thing out of there! If I’m looking for directions to somewhere else, I’m not gonna explore anything where I already am, as I’m LEAVING the area. Sheesh! I fell in love with Google Maps maybe about 7 years ago. It’s the reason I was one of the quickest pizza delivery drivers and why I’m always the one navigating family trips. I’ve been in Europe for 3 months now, and I rely desperately on my saved locations when exploring new countries. It was working beautifully until about 2 weeks ago (I assume with this new update), and when I was in London last week I was struggling to hit all the places I planned on because the map was refusing to show my saved places (my data is slow so I rely on Google Maps). I’m taking my last trip tomorrow and I don’t want to say that Google Maps is going to ruin the trip - but it definitely won’t make my trip any easier (like it used to). This is coming from a Google Maps enthusiast that annoys all her friends when she worships it (and bashes all other “Maps”). Please Google, fix this problem. I’m sure you won’t be able to for my trip tomorrow, but if my comment helps someone else, then AWESOME! And to the Google Team, I love you. Really. Thank you. May you get all the donuts you deserve. Google maps has always been my go to. I was on my way home yesterday from Florida to Tennessee hauling a horse. The trip down took about 9-10 hours and was a breeze. The exact same route home cost me 7 additional hours with a live animal to care for. For some reason maps decided on its own that I needed to go a different way. I didn't realize until it was too late that instead of heading north then west home I was heading north to the coast. I would have been at the ocean if I95 hadn't been shut down forcing me to turn around. When trying to correct the route the app wouldn't let me change the route by touch as it has in the past. I also got a weird different view of a car in a map. The app used to say turn right straight or left when heading out. Now it just says head north etc. I'm not a compass and my truck is not equipped with one. So totally useless. The app also doesn't tell me to turn until I'm right on top of it. THEN instead of telling me to u turn like it used to or saying rerouting to give me the option google now just gives me new directions. To say the least I won't use the app again that has been my favorite go to. Thank you google for costing me an additional $200 in fuel and 7 hours out of my life. Google has a amazing knack for to combining sheer brilliance with mind-numbing incompetence, and this app has plenty of both. I use it from time to time because it does one thing extremely well, routing. Especially in traffic I find the routing to be the best and most reliable there is. Estimates of traffic times are very good, and alternate route selection tends to be quite solid and useful. No for the bad part. For whatever reason, Google (bless their hearts) cannot seem to write a functioning app. Through numerous iterations Google Maps has been plagued with very serious, frequent bugs of the types that will leave you stranded. The current version of the app freezes, loses track of your current location, refuses to connect to the internet for absolutely no reason, and is just downright flakey. Previous versions have had even more serious problems. (Some will recall the version that refused to navigate from the current location, rendering the app useless for navigation.) So try Google Maps for routing, but don’t rely on it for your sole source of navigation because it will leave you stranded. At least until Google learns how to write more reliable apps. Everything in Google Maps is excellent. Now with iOS 12 adding support for third-party navigation maps in CarPlay, we’re now able to use Google Maps and Waze in CarPlay. However, there are two main issues. One, there’s no speed limit. This is a necessity and it’s kind of inexcusable that Google Maps doesn’t have this feature while Apple Maps and Waze (also from Google) do. Two, the voice feature doesn’t work at all in CarPlay. All the proper permissions have been allowed and all that happens when you press the microphone icon on the car screen in Google Maps is that you get the sound and the visual but nothing else. It sometimes says “No internet connection” and cancels, but mostly it hangs there. What’s happening is that it’s hanging there listening but it’s not receiving audio from the car’s microphones. I know that works because if you press the voice button on the steering wheel and use Siri, she hears and responds fine. Must be fixed to allow voice control or add Siri support. Google maps has recently added probably the worst feature you could possibly imagine to an map app. If you live in a dense urban area like me (I live in Atlanta). The absolute last thing I want my map app to do when I'm getting close to my destination is to assume I know the rest of the way and begin to zoom out and rotate to look aesthetically cool or something. I'm not there yet! In many cases I've never been to this store/restaurant/venue and when 100s of places are in only a couple blocks of each other I don't need my map app to zoom out and rotate to look cool when I'm still trying to figure out where I'm going! I have to try to rotate my head to follow the screen all while I'm still driving. I have missed my location many times because of this completely unhelpful feature. This may be fine in rural areas, but this is a terrible design flaw for highly dense cities. It's dangerous and serves no constructive purpose, and is just a shallow attempt to look fancy for an absolutely zero functional or helpful propose. Wait till I am parked and not moving or have somehow indicated that I gave arrived. The most recent update, 4.39, has more bugs than before; the map and spoken directions are often different, the map shows the vehicle sideways or going the opposite direction you are doing and the directions indicate you should be going, and it keeps telling new directions even when you are just continuing on the same route and following its directions. Two years ago, Google Maps was the mapping app to use, it gave accurate maps (showing and predicting traffic with amazing accuracy) and gave the best, quickest routes. Now, it does not show traffic on the map along the directed route and it often does not add the additional time for expected traffic until you have been sitting in traffic for five or ten minutes. Additionally, it often has trouble identifying where you are and what direction you are going. It has reached the point where the once superior app is not significantly better than other competing map apps. One positive improvement in the last few years is being able to search along your route for things like food and gas (including most gas prices). 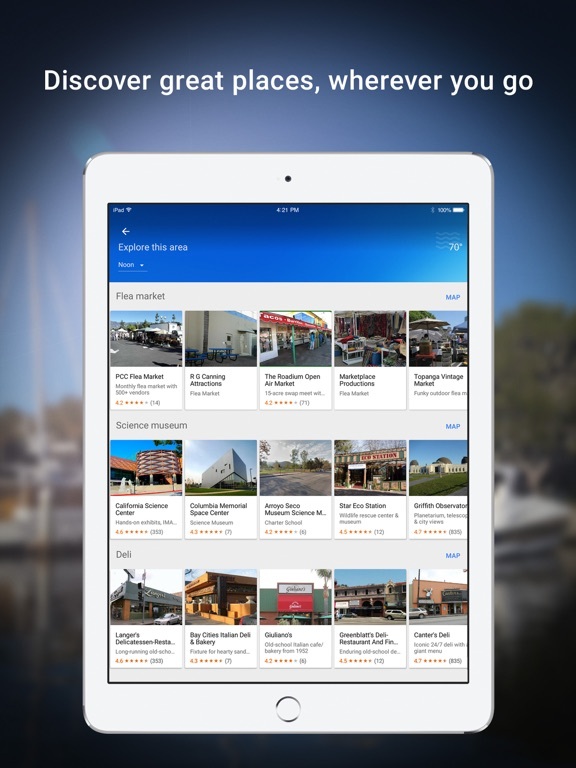 I’ve been using Google Maps for many years and have seen it evolve into a terrific app. that I simply couldn’t do without. I have a very poor sense of direction and this app. allows me to get around the big city I live in. The most recent update now includes the speed limit of the road you’re traveling on. This was the only thing I liked on Apple maps, now Google has it too. I live in a big city and so far the Google speed has matched the posted speed and even changed when I cross over an intersection, then the speed limit changes. If you don’t like the speed limit feature, it can be turned off in the settings / navigation screen of the app. Offline maps are an absolute life saver for instanced where you travel to areas where cell signals are intermittent or weak. They are easy to setup and remove. So far, on the iPhone I have not had a single issue with this app., unlike the dreaded Apple maps that to this day, doesn’t always give me the proper directions, and takes too long to figure out when I veer off the path. 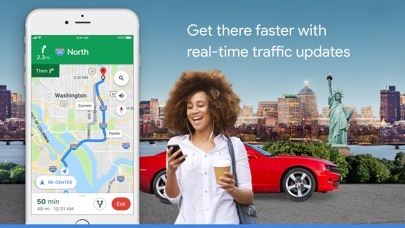 Google maps, responds instantly, and reroutes you eliminating a lot of stress. In a case where you find an error in routing, if it’s reported to google, they will listen to you and fix it. Be patient though as they have to verify it, before they change it. They have a feature within the app that should be turned on by default, where you shake the phone with the app. open, the the feedback screen pops up. I’ve been using Google Maps for a long time and overall I’m satisfied with it. However, there are two things that I’d like to see implemented: 1) Allow the user to select alternate routes when in offline mode. When in online mode, I can select a route I’m most comfortable with and not being able to do this in offline mode is annoying. I don’t want to be limited to the “fastest” route. 2) Allow the user to disable the auto-rerouting option without having to use the app in offline mode. There are many times when I’m not interested in saving 5 minutes by taking an unfamiliar route, but I still want to see current traffic and ETA. Having to fight with the app and manually hit “decline” to a route change is annoying and distracting. There is no reason why the app should need physical interaction from a user while they are focused on driving. Maybe allow the user to switch the default action to “decline” instead of “accept,” and add the ability to choose via voice control? I used to have no issues with this but lately it has been changing my destination with no notification and taking me to the wrong spot. This is happening 100% of the time now and so I can’t rely on it anymore because it takes me to a random location each time. Over the past week it has caused me to drive an extra 50 miles and wasted several hours of my time. Not sure what they did to this last update but I’ll be finding an alternative now. EDIT IN RESPONSE: Typically I’d be navigating based on latitude/longtitude coordinates but it also happened when setting a destination based on address. I also found that it tended to send me back to certain locations repeated times as long as they were within a mile or so of the actual destination. I have no saved addresses so that wouldn’t have been the cause. EDIT 1/31: Yes, I’d be using Safari and a link that opened Google Maps with the coordinates prefilled. The destination would always be accurate for a few minutes but the route would silently change on me and point me to somewhere totally different, sometimes up to a mile away in a completely different direction nowhere close to the original destination. Whether you have other maps including your iPhone or phone’s depending on the phone obviously; this is not only a fun app to have because it can show you more of the place as well as give detailed information to to even when it’s busy itself most nights and in live time. But it’s also a relevant app, leaving you the option from the beginning to see the streets and know the traffic patterns. Ask yourself what your email address is? I remember in 6th grade google was handing out only 6 invites to gmail as the only way to get one. Because they always give their best. 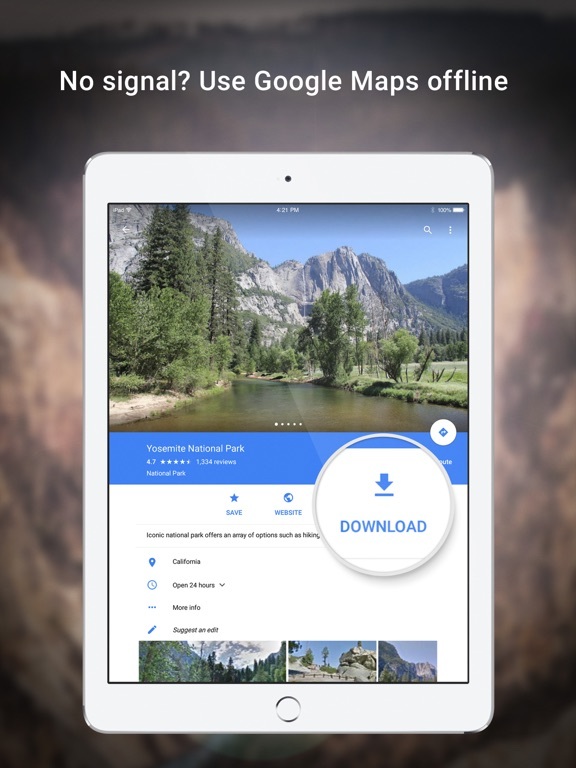 Maybe you don’t have gmail, maybe you don’t like google but as far as storage, apps, the earth to documents, they’re and doing all they can and they haven’t failed me. This app won’t fail. Check everything. Follow the directions make sure to pay attention at worst you’ll have another app in case your default one fails at best it’s useful and very helpful. By far one of my most frequently used, long-running apps. And now I live in NYC so have become obsessed with the new feature allowing us to label places as “want to go”, etc. My only complaint with Google Maps is its lag time in catching up to my location. It can sometimes take 5, 10+ minutes for the app to update my location from when previously used. My one *request* is that the app have more options to customize the pins! Example: when creating a new list, it would be helpful if there were multiple colors to choose from, rather than just having the baby blue option. This would help to distinguish between categories when looking at the map alone (rather than having to go and search through the lists). Maybe even allow for a custom-made option, such as using an emoji as a category instead of a color at all? 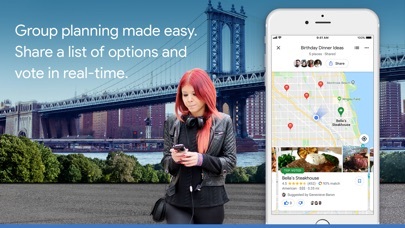 This would be a total game changer and so improve my use of the app when searching for specific cuisines, unique features, etc.! Google you need to read this. I’ve been using google maps since forever! I cannot give them a bad review. Yeah, there may be and continue to be little details that many people may want to change and so forth but I consider it to be a great gps. Anyways I’m contacting google through the App Store to let you guys know that while I’ve been using google maps for work to complete my deliveries. I’ve noticed that the many places I go to make these deliveries the gps points me out to the incorrect locations most of the time. I usually have to go and find the addresses blindly until I can locate my customers location. I am not sure if you’ve sent out a driver to Lauderdale Lakes, Florida to update the street views and new developments. But there are many new buildings and older buildings standing today that google maps hasn’t updated on. Hopefully, google maps can update this soon enough. A lot of changes are occurring in this side of town. I can’t say if their public transportation mapping and predictions are the best in every major city, but I can attest to the San Francisco Bay Area, which is not very easy to navigate, so let a native save you a lot of trouble. Forget all the other apps because they’re never as accurate nor as intuitive. 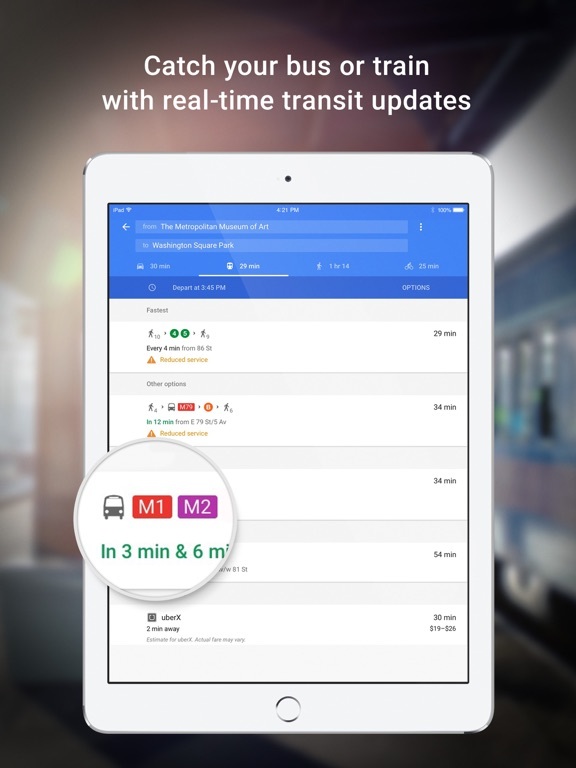 Google has more resources to notify within seconds of schedule changes, quicker than the respective government agency where the delay may be (ie Muni accidents might not show up for 20 mins on predictions, yet Google Maps will immediately notify you and offer reroute)So no matter where you are traveling from, forget Muni app, or 511, or BART, etc., just coordinate your schedule through Google Maps. I also recommend getting a Clipper Card. Easiest way to keep track of transit passes and if you’re not sure your schedule you can just load cash which is redeemable on all transportation systems (though obviously passes are your best value). I’m so disappointed with the app that used to be my number one. 3 or 4 upgrades ago google maps app started to glitch out. Currently the only verbal directions I get are the first one or two turns when I start directions. After that it goes quiet. As I start driving the blue location dot never moves, just pulses. After driving 10-15 mins I look at the app and the screen is still at my original starting point. I can manually swipe the top directions to the left to see want to do next but it doesn’t update by itself from that point. One thing I noticed is that at the bottom of the app where it tells you your ETA, time adjusts accordingly even though the map is pretty much frozen. For example if I look at the screen it’s shows that I’m still at my house but the time puts me 8 minuets away from destination. I wish I would have never updated because I use this app for work and I can’t count on it anymore to get me where I need to go without freezing. I have been printing directions and hoping this issue gets resolved ASAP. I agree with an earlier reviewer about the sporadic use of ‘landmarks’ in the directions, rather than using only street names. It’s weird and arbitrary. Then it switches between giving directions in feet or fractions of a mile, or sometimes doesn’t give turn directions until it’s too late to safely execute the turn. Sometimes voice directions don’t come at all and I have to look at the phone while driving (!) to see what to do next. Recently, the reminders to leave have not been coming through each time they are requested, which I rely on to plan my trips accordingly. Aggravating! My main frustration with this app is that it erases open directions if I accidentally click out of the app or into it from a Notification, or when I’m editing stops but use the < arrow to back out. I frequently have trips with multiple stops, so losing my entire trip and starting from scratch is INFURIATING. If there was a way to save current trips or retrieve them, that would be so helpful!!! Google maps is still amazing and has been my go-to for navigation. But something odd has happened the last 6 months. Whenever I map directions, it freezes and takes about 3-4 minutes before it can locate me on the map, but then sometimes it will lose me again. This lag time was so frustrating that I contacted Apple and Att about the issue. They both pointed fingers at each other. Apple would say “Their towers are not pinging your phone correctly”, and ATT would say “the iPhone antenna is damaged.” So I eliminated one and replaced my phone with another 6s Plus. The issue did not improve. So I went as far as switching carriers to Verizon, and the issue still persists so I got another 6s Plus and reinstalled all my apps. Problem still exists. I have these Scoshe magnets on the back of my phone to use as a mount in my car, maybe that’s screwing up the antenna. BUT apple maps works fine, so unfortunately I have to use Apple Maps for navigating which is subpar compared to gmaps. I’m starting to think Apple is doing something to make Gmaps not work as well. Hmmmm. I have been using Google Maps for years. I have actually deleted the Apple Maps app because Google had planned better routes at almost every request when I first started using it. However, I’m starting to see flaws. 1. For 2 days now, there has been major traffic jams on my normal route home, but Google Maps continued to recommend it, even though I found a faster route on my own today. 2. Once you find a better route than Google’s preplanned, there’s no way to redirect it to follow the new route you’d like to go. For me, this sometimes means pulling over multiple times just to make sure I’m still following it correctly, since Google is stubbornly trying to redirect me through a traffic jam. 3. When I compare it with my fiancé’s Apple Maps, the latter has proven to have better routes time and time again. 4. Doesn’t show current speed limit *not huge but it’d be great to have*. Needless to say, I’ll be testing the navigation app market to see if my complaints are fair or not. Can someone on the maps team please have some putty on your users and stop forcing the zoom into the current location when you start a route. I would like to get an overview of where google is sending me and when I’m trying to zoom out, google maps keeps trying to zoom in. It is SO OBNOXIOUS. Also, please get rid of the response delay. It’s anointing AF that when I tap on X or the input field or whatever that it does not register. Seriously, it’s obnoxious! Thirdly, please stop it with the obnoxious search results with a tiny map and a list that wastes a bunch of white space. Are you a mapping app or not. Try the whole mapping thing and let users pull up a list if they want. Only troubled people use lists instead of a map in a mapping app. Lastly, please stop trying to force the silly Explore tab/card on users or at least knock it off with the wasteful whist space of that silly, childish google design language. It takes up a good 25% of the screen, especially with the redundant “explored, drive, transit” bar. I get it, you are paid too much and really want to stay with google so you and your team keep making up ways of doing things differently when they were already great and don’t need to be changed, but when you’ve reached high levels of outcome achievements, guess what, the likelihood of making things worse instead of better increases exponentially with every introduced change. Swipe to move in Street View needs to go. When in street view you swipe to both rotate the camera AND swipe to move down the street. Having one input do two different things is a bad idea and will of lead to the app taking the wrong action much to my frustration. I can’t tell you the number of times I’m trying to turn the camera and suddenly I’m down the street or I’m trying to go down the street and suddenly I’m looking up in the air or down at me feet and when I try to swipe back up it moves down the street. The experience is infuriating when your trying to navigate. You need to remove the swipe to move "feature" and replace it with a different gesture (one that’s not already being used). Baring that at least give me the option to disable it as Street View is unusable in its current form without much frustration. Ignoring Street View this is an amazing app. It’s my go to for so many things. However Street View was one of the defining features of Google Maps that made it first stand out from the competition so I consider this a really big deal. Issue with the GPS... icon shows I’m driving in reverse!!! I enjoy using this app! It’s great, but ever since the update for CarPlay, there have been a few issues. The most annoying thing is when driving, my position shows up upside down or even facing to the left of right. I understand this has to do with the way the phone GPS may be facing, but when driving on an expressway, it makes no sense. It shows the map as if I’m driving backwards. You guys should have a setting if you are moving in one direction at a certain speed to default the map to move to the way the road is. The whole map moving is only useful if you are walking. Another issue I ran into was the app freezes when you try to input an address via voice. This happens not as much but still bad. All in all, you guys need to make a setting to disable the actual location we’re facing when driving and just figure out if we’re going up, down, left, or right then make the map follow that. If this doesn’t get fixed, i honestly don’t know if I will continue to use this app. iphone 6s ios 10. I get smooth performance for every app, except everything google now offers! Google maps has always been so much better than apple maps and all others as well. But all these 'Everyday' updates and bug fixes have made the app sluggish. I believe we all can live with a little less features if it means just getting that smoothness back! Almost 60% of the screen space is taken by all-that-i-don't-need when i open the app. i just need the map, my current location and my destination bar!! That's it! If we need anything else, or if you think we need anything else, then just give us those options in the side menu. You should realize that most people are still using those 5-6 inch devices and not the ipads. 40% screen is not good enough for the map! and yes, we can't all have an iphone X or a pixel 2 to just get rid with the laggy UI. Understand that you can't force us to buy devices we don't need, instead we will adapt to apple maps or something else if you can't be efficient. Google maps has been fantastic in regards to loading maps and not needing Cellular, Wi-Fi or Internet access of sort just like Waze works. The Waze app. is a great one for knowing what’s ahead of you and Waze will be route via satellite when you’re in different traffic situations such as traveling in Sicily as we are now and rerouting us through the back streets that he would never know they would exist to return to our destination in the middle of the night. I like the way Google maps marks out the route like a regular map but when I do need to change or use Waze, just to have something different. Google maps also has wonderful easy to read history another great features Such as locations of restaurants shops etc. what’s their gathering for Google Trips. It’s a beautiful package that Google is doing, and it works well and I have not seen any bugs with it. Very little bad things to say about you. Still angry. Great app. I have a lot of good things to say about you guys. But at the very same time I’m beyond angry. There’s so many features you never bothered to consider or enable. I’ve got a very specific reason why I need to remove all my contributions from Google Maps. I was a Level 9 Local Guide but for reasons I won’t get into I need all my contributions gone. Of course you guys wanna make it difficult though. I have to MANUALLY REMOVE EVERY PHOTO. You guys never THOUGHT to implement a feature that allows you to mass-delete all your contributions. Hypothetically deleting my Google account wouldn’t even do me any justice, my contributions would remain. I’ve been sitting here for hours on end — 3.5 hours I think — and I’ve screen recorded all my progress — and I’ve only managed to delete 2,000 photos. It took me THAT long to manually delete 2k photos, and I’ve still got 7k to go. You guys have robbed me of my time because you never thought to implement such a simple feature. The new update is terrible - instead of Explore, Driving and Transit, now there’s only two tabs: Explore and Commute. As someone with an irregular work schedule (work from home some days, no fixed time I come into and leave the office) it’s practically useless since the days/times aren’t customizable. And to make way for Commute, they took away the best feature of the app, the Transit tab. As a New Yorker, I had my app set to that as a default, because it would highlight all the subway lines in colors, show me where all of the entrances and exits were located and even the station layouts and positions of each platform. This is vital information here in NYC!! Why would you get rid of this? Now all I have is a useless Commute tab and an obnoxious Explore tab that I don’t use but is now apparently my new default. Oh, and once you set up commute, you can’t remove it. Found this out by accident when I was trying to figure out where the nearest subway line was (as it was no longer highlighted). Only way to remove it was to delete my work address. Google, please bring back Transit!!! I’ve been using Google Maps for a while now, utilizing the ‘location sharing’ feature more than anything. I’ve tried so hard to like the app and make it work for my family and I, but the app has let me down consistently! The location sharing feature often gives me inaccurate locations (of other family members sharing their location) or provides me with a MASSIVE range of possibilities of where family members are...too large of a range to even GUESS where their location could be. However, with all those issues, I’ve still been using the app with hope that location accuracy will improve. NOW, the location will not update! This has been an issue for almost a week now-I’ve had a location of each family member, but the location is anywhere from “2-4 hours ago”!! And the ‘refresh’ option will not ‘refresh.’ I’ve tried everything I can think of to fix the issue, thinking it could be something on my end or on family’s end, but to no avail. Please fix this app!! I have been using GPS in my vehicles since 2007, so I have dealt with a number of different systems for over ten years now, and I have spent lot of money on navigation systems installed in vehicles (eight different vehicles over that period). I still use a built-in system in my present vehicle. But increasingly—and since iPhone 5 and iPhone 6—I have been depending on Google Maps to route me to specific destinations, and using my car’s BlueTooth connection system to provide continuous directions through my car’s sound system. 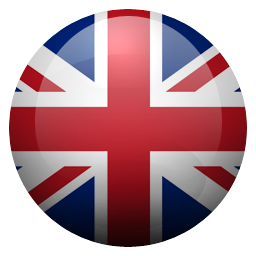 I have found it extremely reliable, and I certainly have appreciated that it is constantly updated and free. As most newer cars can connect with their owners’ smartphones now—and as most smartphones can be charged in the car—I highly recommend this application to everyone who has to do a lot of driving! Great unless you love traffic! I’d give this a middle finger emoji if it would let me. Google Maps is terrible. Why it’s “the number one navigation app” is beyond me. Today was the last straw. Traveling east from DC into Massachusetts - encountered a “twenty minute slowdown ahead” on the GW Bridge (in NYC) - 25 miles from where I presently was (plenty of time to redirect me). Google just kept informing me of the slowdown and how much longer it was getting (now, two hours) and happily steaming me along INTO IT. Desperate to avoid sitting on the GW in NYC for 2+ hours (after already driving for 8 with 3+ more to go) I opened Waze. *WAZE* immediately redirected me, getting me to my destination and saving me a needless 2+ additional hours in my vehicle. Google - PRO TIP: When offering a “navigation” tool, the people using it want the QUICKEST, most EFFICIENT way to their destination. They don’t want their lives disrupted further. I had to make an 8 hour drive today. Google Maps would have made that 11+ *for no reason. * This is not an isolated incident. Me? I’d avoid the app, unless you enjoy not being re-routed to the most efficient routes available. Very bummed out.